إذا كنت تبحث عن فندق بموقع جيد في جولد كوست، فقد وجدت ضالتك في Enderley Gardens Resort . يقع مركز المدينة المثير على بعد 1.0 km فقط. كما يمكن الوصول بسهولة إلى SkyPoint Observation Deck, 7D Cinema Gold Coast, Go Ride A Wave - Surfers Paradise. إن الخدمات الممتازة وحسن الضيافة العالي في Enderley Gardens Resort تجعل إقامتك تجربة لا تنسى. يمكن لضيوف الفندق الاستمتاع بالميزات التالية على أرض الفندق: خدمات بريدية, تسجيل وصول/خروج سريع, واي فاي في المناطق العامة, صف السيارات, التوصيل من وإلى المطار . تنعكس أجواء Enderley Gardens Resort في غرف الضيوف.تلفزيون بشاشة مسطحة, اتصال لاسلكي بالإنترنت, اتصال لاسلكي بشبكة الإنترنت (مجاني), غرف لغير المدخنين, مكيف هواء هي بعض الميزات الموجود في العديد من الغرف. يمكنك الاستمتاع بالأجواء المريحة التي تقدمها حوض استحمام ساخن, ساونا, مسار جولف - ضمن 3 كم, حمام سباحة خارجي, سبا طوال النهار. إن Enderley Gardens Resort هو مكان مثالي للمسافرين الذين يتطلعون إلى الراحة والاستجمام في جولد كوست. يقتضي تسجيل الوصول المتأخر دفع مبلغ تأميني بالبطاقة الائتمانية قبل تسجيل الوصول. لا يقبل العقار دفع مبلغ تأميني نقدي عند تسجيل الوصول المتأخر وتسجيل الوصول أيام الأحد. Bathroom light was broken and there was nobody to fixed it so front desk gave us a lamp. No housekeeping, had to wash and dry our own towels. Balcony door was broken too. Spacious room though, nice pool. Very old apartment dirty and unmanaged. Unwashed utensils, dirty carpet and furniture. 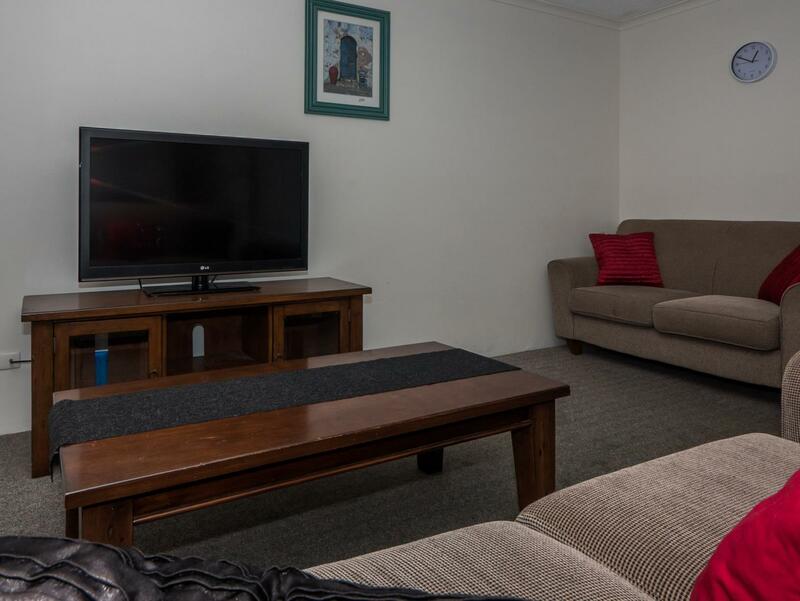 Walking distance to everything gold coast have to offer. Would stay & recomend this resort to all my friends & family. 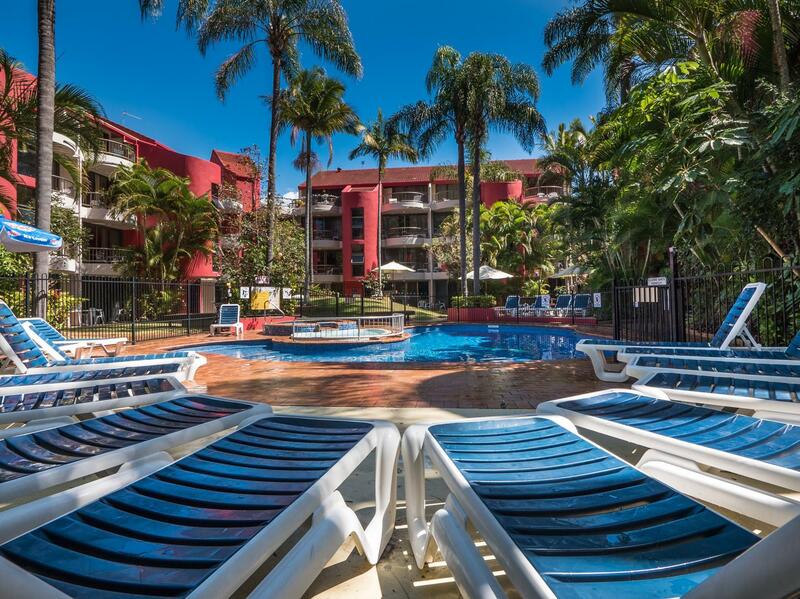 I enjoyed staying at Enderley Gardens Resort which was so close to the shops, beach and transport. This was my first solo holiday and I felt perfectly safe and happy staying at these apartments. When we were about to arrive they text us that they wanted $200.00 bond. Nothing about that in earlier emails. There is no lift and we had to carry luggage to 3rd floor. The apartment is nothing like the photos show. The apartment was dirty. The towel rails had dirt on them. We complained to management and were offered a similar apartment in a different area but it wasnt any better and we would have had to haul our luggage down from our area and up another three flights of stairs. Very disappointed. Upon arrival was allocated a room on the top floor with no aircon even though we booked specifically the ground floor. They did change rooms for us after 2 nights upstairs to a ground floor with aircon but the booking had been way in advance so really no excuse for the room changes. Also they only give you one roll of TP for your group, any more that you need must be purchased even though we had booked for 5 nights. The upstairs room was in dire need of upkeep, such as curtains falling down, holes in the window screens, etc. To top it all off they have live cockroaches wandering around which we found on the 2 nd day. The grounds themselves are pretty with trees and pathways but not worth the disappointments. If we had not already paid we would have left and found another place and I won't be recommending the place to anyone for the future. Close to the beach, close to the shops and also the light rail. The rooms and hotel is old and dated but does the job. The unit was very out dated. The curtin didnt even cover the windows and everyone could see in. It felt like we had no privacy. It was cold and each bed only had a thin blanket. We were lucky we took some with us. The couch smelt really bad. Reception isnt even open on Sunday. If you wanted clean towel it cost you extra. Front desk staff not friendly, my room was not clean, dirty sheets and soap still in shower from last guest. We've got a good deal (via Agoda) to stayed here for 9 nights. The resort facility is running down. The room we stayed is old with aged furniture, but it is spacious, and the kitchen is good enough for full cooking. It was the best holiday I have had by myself because I could get to everywhere in good walking distance otherwise there is a good transport. The two bedroom apartment i stayed in was very spacious and comfortable. It had all that is expected in a holiday apartment and the bed was comfortable. 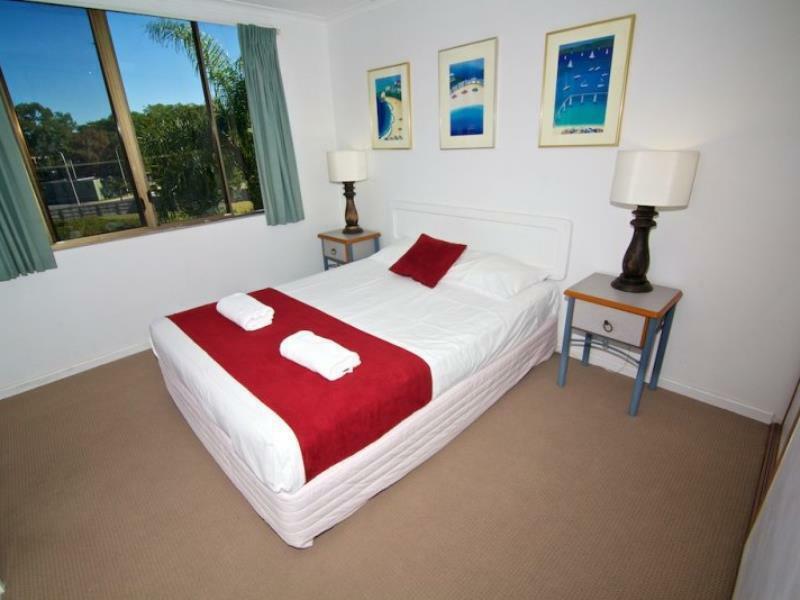 It is a moderate walk into the center of Surfers Paradise where everything is available. A bit closer to Enderly Gardens there is a choice of restaurants and its just a short stroll to the beach. The underground car parking was a welcome addition. Overall it was a very pleasant few nites and i would stay there again in the future. Not pleasant. Room had a fridge with no shelves. They told us sorry can't do nothing about that. Security screens couldn't be closed so no security. Bathrooms and toilets were disgustingly dirty. Taps sounded like a drum orchestra every time we showered. 1 toilet roll per room for one week. Bedside table lamps didn't work in any room. Entry stairs were has years of dust and fur acumilated everywhere. Sauna could only be used during the day as no light was working, also told sorry but for whole week nothing fixed. Overall very disappointing for what they charge. Stayed once, never again. Absoloutely nothing, never got to find out. I have emailed you guys excessively regarding my booking and still haven't received a response. I got to hotel and was told that there was a further $200 booking fee, I only had one hundred on me so we drove back home to get the other $100 which is inn Ipswich, we were then flooded in and couldn't get back. Then the hotel has told me no refunds or no re-booking. I am a single parent with 3 yr old twins, they have never been on a holiday and this broke their hearts not to mention my pocket. I haven't been this disappointed in a long time. I should at least get one nights accomadation back????? ?